Basically, there is not too much different from last year 2014. 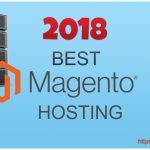 In 2015, top 3 best magento hosting companies still keep the good position and make customers happy, so that the customers almost don’t move out. But most of them upgrade the magento hosting plan because of the business expand. It ‘s good news to know their business growth with good performance and speed from magento site what attract more users. 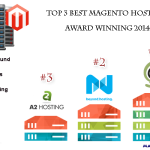 You can look at the survey result in 2014 here Top 3 Best Magento Hosting Award Winning 2014. 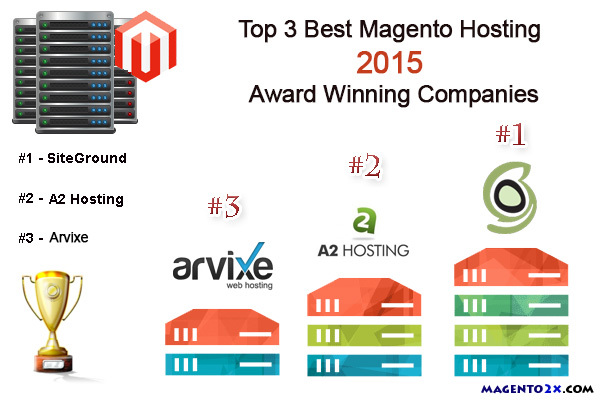 Top 3 Best Magento Hosting 2015 Award Winning Companies. It ‘s time to show the result about best magento hosting 2015. With the vote rate number 125/215, SiteGround keep a very good magento hosting quality what almost 100% customers happy with their service. In 2015 SiteGround keep optimising their magento server and support Full Page Cache plugin what use for Varnish cache in supercacher. 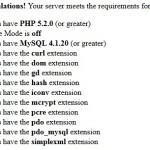 It ‘s very good news since the hosting can support magento well like that. 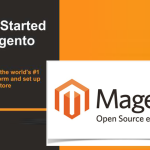 More magento experts are assigned to help people solve the problem from magento hosting. That ‘s why the response time still keep fast even though more customers using their service. Memcached is configured for magento is much more easier in their hosting plan with very fast help from support. Top #1 in The Best Magento hosting 2015 is is result we can predict since our customers always have a good feedbacks from SiteGround. With SuperCacher what is the unique feature what is only supported by SiteGround include the combination of caching and performance tools such as Memcached, Google Speed, Static Cache, Varnish Cache… what can help the magento faster very much. 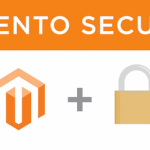 So you want to get your magento site up and running smooth in 5 minutes? Let ‘s get started with our #1 magento hosting award is SiteGround. Good price! Yes, SiteGround optimised their server resources and hosting quality so that they can provide a very good magento hosting service without too much works. That is the key value to make magento hosting plan cheaper but high quality. 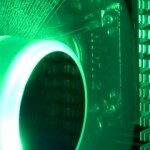 Solid State Drive Speed Boost – Up To 300% Faster Page Loads! A2 Hosting with their strong features in high quality SSDs (Solid State Drive) what can increase the Disk speed 300% what help us a lot to make our magento site work fast. You can look at more detail in Increase Magento Performance 300% with A2. Their features and their hosting quality help them get the trust from 52 our customers in total 215 customers who are ever used their magento hosting service. Other than that, if you use A2 Hosting for your magento site, you will see their support is pretty good. We are not sure how many users in their system but their support team take care users very carefully until you are happy with their help. That ‘s really nice for all of e-commerce project. You can try their service without any risk and good price for a best magento hosting to see how it go. Arvixe magento hosting company suddenly run to top 3 list instead of Nexcess from last year. It ‘s something we can look ahead because because Nexcess is too expensive and they are not willing change and upgrade their system. Maybe Nexcess spent too much money for marketing so that they can’t optimise their hosting package to save price. Anyway, it ‘s still good to host magento on Nexcess but people love Arvixe more than them in this year. Not too much different from normal web hosting company, but Arvixe support both .NET and PHP in the same hosting package if you buy Windows hosting. But still, if you don’t really need, we highly recommend you only buy PHP hosting package what is optimized for magento only. Arvixe is a good choice for US and EU webmaster. The big change in best magento hosting 2015 list is people don’t love Nexcess any more because their service is too expensive and their hardward is not upgraded enough to fight with the new software of magento and the industry requirements. They should improve more to save time in management and better price. SiteGround is still keeping the #1 Best Magento Hosting 2015 with much more improvement in hosting plan and quality control. They support more unique features and extension for Varnish cache in supercacher feature what the strongest feature to make magento faster. 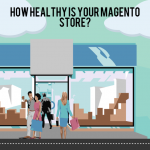 Is your Magento store Good? How to check? Thanks for a very detail review from users. But I am wondering if I can see how to use supercacher from SiteGround? It ‘s make sense why the service from Nexcess is just too expensive. They show people that they can do very good thing but Nexcess just spend too much money on hardware but software and people instead. In the bottom line I still think SiteGround and A2 Hosting is better than them a lot. Arvixe not work for me? 100 products with 10k visits/day and they suggest vps. Why??? Belong to many factors. Since they are not the top one, I suggest you can try to look at the #1 option to see the difference. Maybe your shop is not optimised good enough what will take a lot of server resource for every request. Finally, we got a very good choice for our magento site with 1000 products after a long time searching. 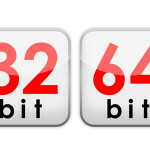 Your choice ‘s just so nice for us with affordable price and quick support. It ‘s even more than our previous dedicated server. We go with SiteGround and work nice until now. Thanks again! In my opinion, I think SiteGround is the best but if you don’t want to configure anything for caching then you can use A2 Hosting in option #2. In this case, A2 hosting can bring you work fast but not too fast. A2 hosting in highest package, it support cache well too. Actually, A2 Hosting support cache well too. But you have buy their highest package “Turbo”. 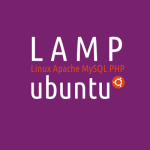 They also support for a plugin to install to use their caching solution. I have been with Rosehosting.com for more than 4 years and I am fully satisfied with their professional service and support. Not sure but I tried rosehosting before and it ‘s so slow for my magento site. It usually timeout too.